In the last couple of years there has been a resurgence of interest in so-called ‘outsider art’, with major shows at the Wellcome Collection in London and at the 2013 Venice Biennale. 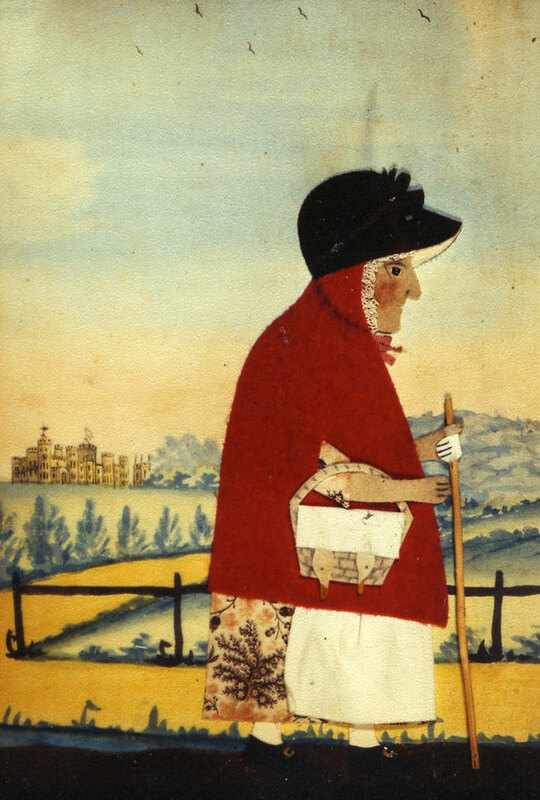 ‘Folk art’ is in many ways related to outsider art, not least because these designations of ‘folk’ and ‘outsider’ are increasingly contentious and Tate Britain have now mounted the first major exhibition of British folk art by a national museum. Having seen the Wellcome Collection exhibition and a major show of Art Brut (an earlier, European, term for outsider art) at the Arpad Szenes – Viera da Silva Museum in Lisbon, it struck me that outsider art is usually made by people who are marginalised or institutionalised in some way, and their work is often characterised by an obsessive approach to its subject, sometimes manifesting itself in fantastical landscapes and strange hybrid figures. The designation of certain kinds of art as ‘folk’ also raises issues around class and gender. Many of those ways of working barred from inclusion by the Royal Academy were undertaken predominantly by women and/or working class men. Many of the works in Tate Britain’s exhibition are anonymous because their creators were either not known or documented. Perhaps what they were doing was seen as ‘work’ not ‘art’ but such distinctions need to be challenged, as they are in this exhibition and by artists such as Tracey Emin, who has used embroidery in her work, and Grayson Perry, famous for his ceramics and as a champion of the idea of artist as craftsperson. All of this was brought home to me when visiting British Folk Art on the same day as going to see Tate Modern’s current blockbuster exhibition of Matisse’s Cut-Outs. I guess the Royal Academy of 1769 would have refused to show them – “cut paper” being one of those “baubles” inadmissible for their consideration. That would have been their great loss because these are astonishingly joyful and sophisticated works. Matisse, the great master of colour, first started using shapes cut from painted paper to help him work out the composition of his canvases. Eventually, the technique took on a life of its own and he used it to create decorative schemes, posters and books, stage design and stained glass windows. Later on, as his mobility became impaired and he could no longer paint, he was still able to cut paper in his chair or in bed, then hand it to assistants who, directed by him, would pin it in place. 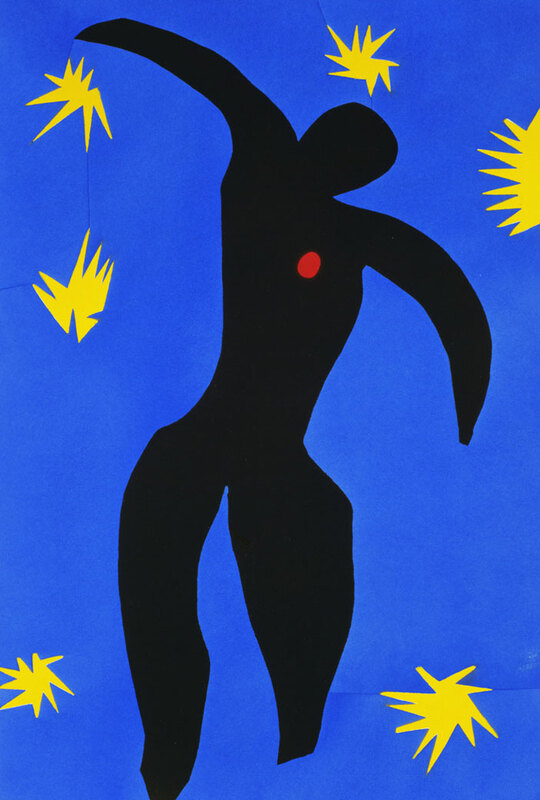 Many of the works in this exhibition were produced when Matisse was in his eighties and they have an energy and vibrancy that show him burning bright towards the end of his life. The cutting of the paper itself was often done very quickly, which gives the forms he uses their free-flowing nature. 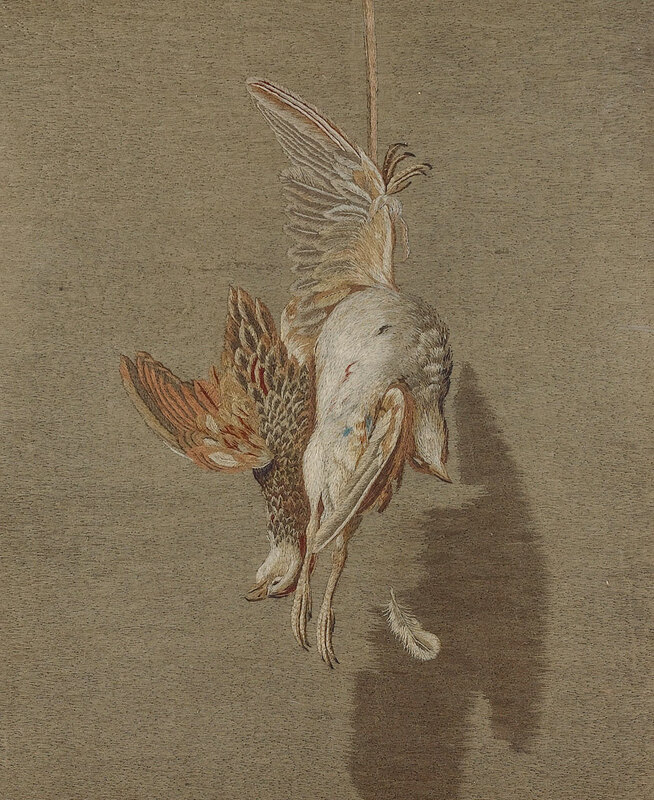 It’s crucial to see the cut-outs in the flesh, as it were, because the three-dimensional quality that they have, whether because of the collage-like layering of paper on paper, or the vibrating of colours placed side by side, is totally lost in reproduction. Scale also becomes very important here – standing in front of The Parakeet and the Mermaid, for instance, or Large Decoration with Masks, is a totally immersive and dazzling experience. As a summer exhibition this is perfection and I left feeling rejuvenated – it’s like being bathed in sunshine, cleansed by the sea and stroked by a cool breeze all in one go. I wasn’t as equally engaged by all of the works in British Folk Art. There are quite a lot of ships’ masthead figures and shop signs that I personally found only marginally interesting. 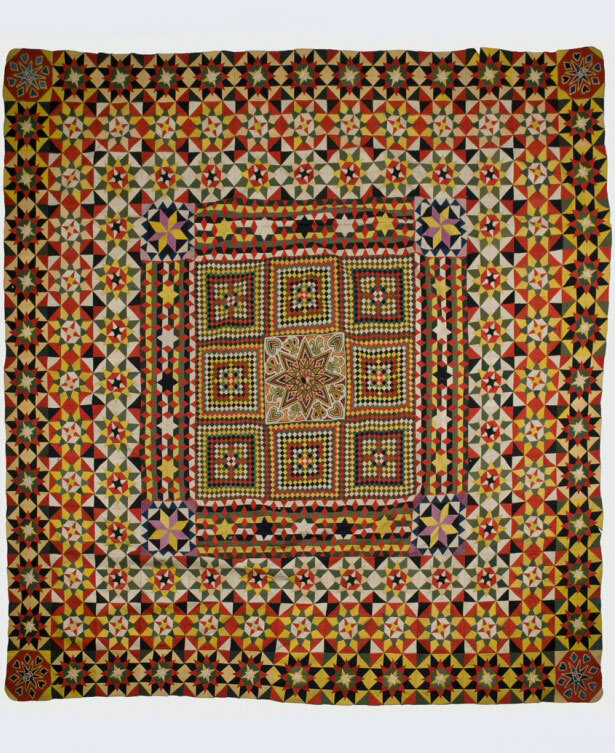 My main fascination was with smaller-scale objects, such as the paper and fabric collages made by the tailor George Smart and sold in his shop, or the quilts, blankets and embroideries made by individuals or groups, usually for their own use or as an expression of their own interests and creative ideas. An embroidered map of the Solar System from 1811 is one fascinating example of that, as is a beautiful blanket made by soldiers during the Crimean War from patches of dyed wool taken from uniforms. Making the blanket was encouraged by their superior officers because it was seen as good for them after the horrors and trauma they had endured in conflict. There is perhaps a moment of overlap here between folk art and outsider art, where the nature of the craft and the act of making has a therapeutic effect and becomes infused with a personal and social function beyond itself. The works in British Folk Art have been borrowed from many museums around the UK and it’s worth noting that it’s often in these ‘local’ museums where folk art and crafts have been preserved when large ‘national’ institutions have not previously valued them. 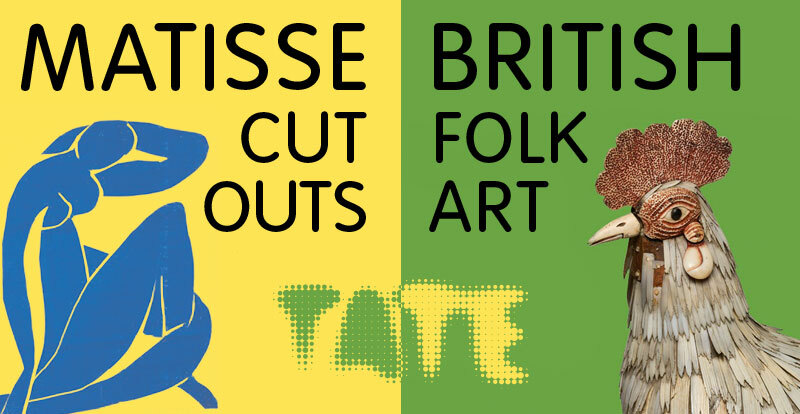 Tate Britain is to be commended for seeking to break down these barriers and redress the balance. The life and career of Mary Linwood provides a case in point. Linwood (1756-1845) was one of the most famous artists of her day. She copied paintings in embroidery – ‘needle-paintings’ they were called – and so extraordinary was her skill that many of those viewing them refused to believe they weren’t actual paintings. A permanent exhibition of her works was established at a gallery in Leicester Square, where it stayed for fifty years and was a huge tourist attraction. After Linwood’s death her works were dispersed and, having already become somewhat unfashionable, sold for very modest prices. She is now virtually unknown and, regardless of what you might think of her needle-paintings as art, there’s no doubt her technique and skill are breathtaking. It’s not difficult to conclude that, had she been able to work in paint rather than the more ‘feminine’ pursuit of embroidery, she would now be considered a major artist.